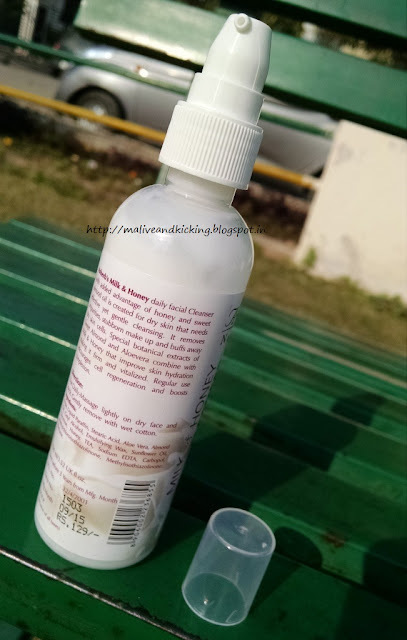 After a round up of many products from Anherb winter skin care kit in past weeks, now a humble facial cleanser is under my scanner. 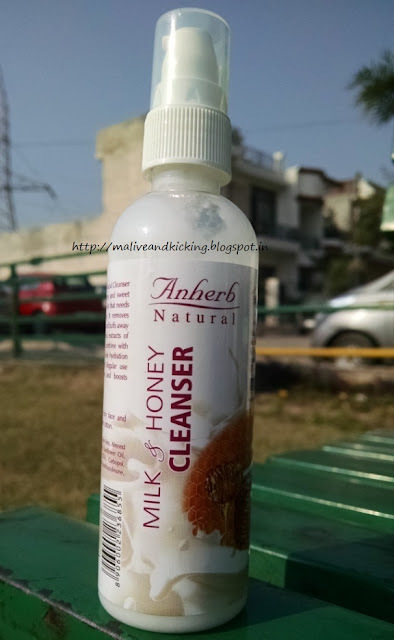 Anherb's daily facial Milk & Honey Cleanser with added advantage of honey and sweet almond oil is created for normal to dry skin that needs effective yet gentle cleansing. 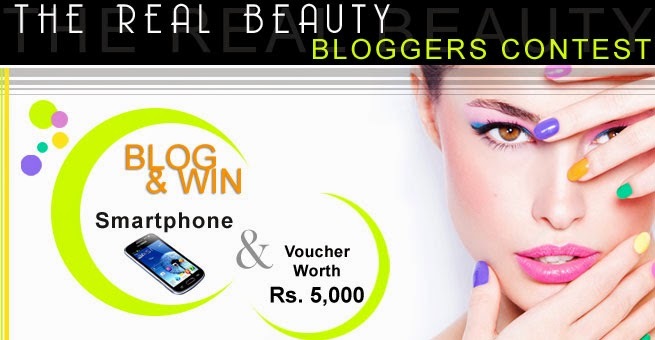 It removes impurities, stubborn make up and buffs away dry skin cells. Special botanical extracts of Sweet Almond and Aloevera combine with Milk & Mandarin Orange that improve skin hydration making it firm and vitalized. Regular use encourages cell regeneration and boosts complexion. Aloe Vera, Almond oil Sunflower Oil, Milk, Honey. Massage lightly on dry face and neck. Gently remove with wet cotton. Price: Rs. 129 for 100 ml pack and Rs. 330 for 275ml. Anherb Milk and Honey cleanser is freshly scented cleanser in white color. It is moderately thick in consistency that is not watery not creamy thick...just the apt one for easy usage. 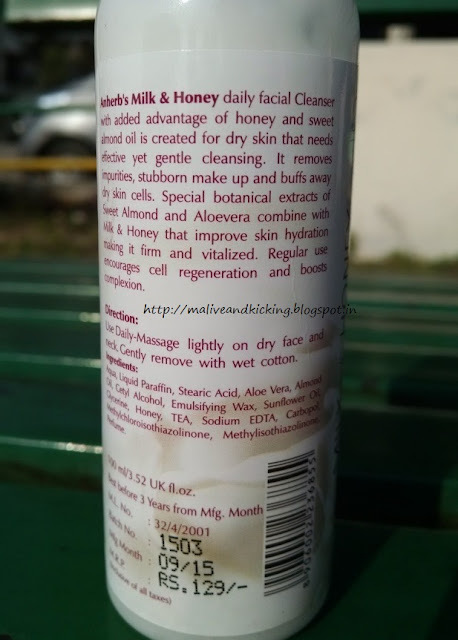 The smell is similar to the Milk and Honey nourishing cream that I reviewed earlier..most probably due to the same composition of ingredients. I liked the cylindrical pump dispenser packaging of the product that ranks higher in terms of ease of use and feels much more hygienic. I use a mild cleanser every day on reaching home from office. 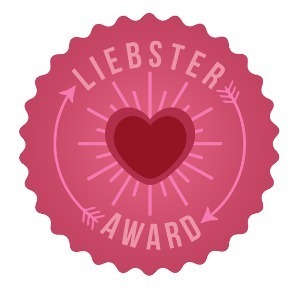 My personal choice is a gentle formulation that works well for dry skin type. After a gentle massage on the face with this cleanser, I wipe my face with wet muslin cloth. 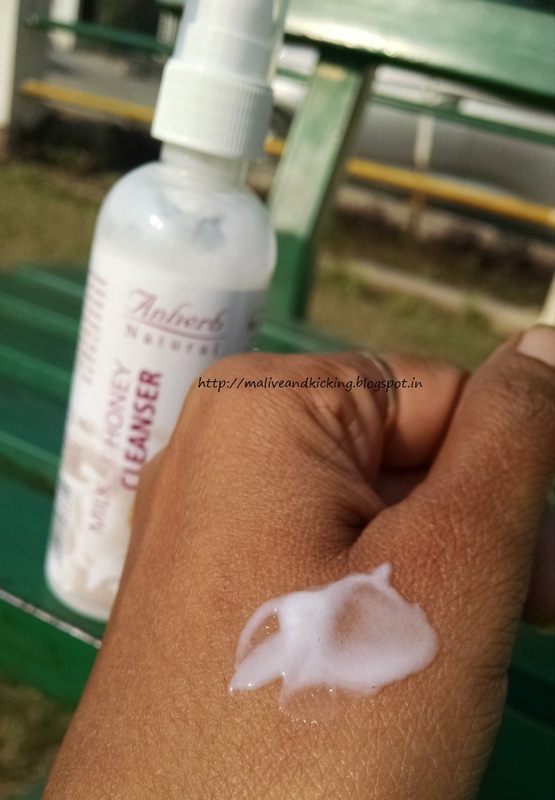 Anherb's cleanser is effective to remove every speck of makeup and dirt from skin. So one need not to use a makeup remover separately. The delightful ingredients like honey and milk maintain right amount of moisture. So it doesn't leave the skin feeling stretchy or tight due to creamy texture. 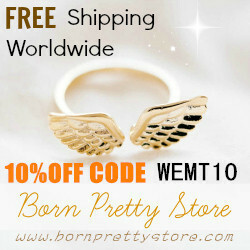 I experience clear, glowing and hydrated skin after every use. Its a non-irritating cleanser, so people who are extra careful for their sensitive skin may give it a try. Though the cleanser is not excessively creamy, the oily skinned beauties need to skip it for obvious reasons. Overall, I liked this pocket friendly cleanser that can remove toughest pollutants and makeup off your facial skin in few light strokes. After a religious usage, you are destined to restore even skin without stripping off. Would love giving this a try. Great item with nice ingredients! This sounds nice. But I best stay away as I have oily skin.